June, 20, 2017 - summer solstice. Welcome to the Christy Yuncker Photo Journal. 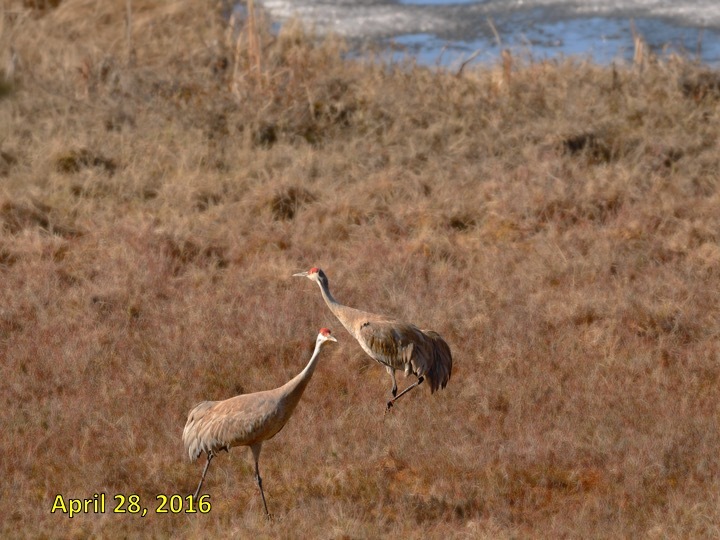 Each spring from 1996 through 2016, a pair of sandhill cranes returned from migration to reclaim their nesting territory on our cranberry bog near Fairbanks, Alaska. Here are their stories, recorded every summer day for 21 years. 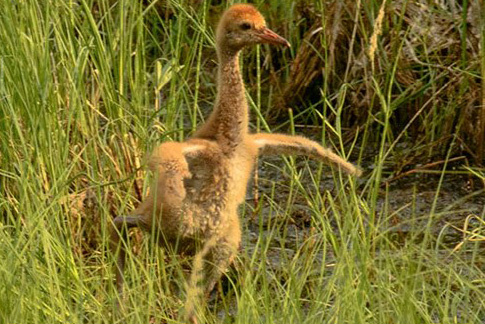 Millie and Roy were wild sandhill cranes. Our relationship remained respectful (100-1500 feet of separation) as we studied each other. Millie and Roy knew our habits. They took little notice of every-day barking at sleddog dinner-time yet cued off alarm yelps when a predator was in the neighborhood. The noisy truck that brings a weekly water delivery was ignored whereas the fuel-oil truck that comes once a summer triggered caution. They were accustomed to my opening the deck door to poke the long lens thru the screen curtain...except during mating. Likewise we came to know their patterns: excited dancing on the icy pond after arrival each spring, nesting, coaching each year's colts (to forage, to dance, to fly and to dodge dangers), and family excursions to neighboring marshes when fall departure neared. My notes and images provide a continuous record of successive nesting seasons of this pair of cranes. A report on a single bout of behavior might be considered anecdotal, but we believe that the multi-year chronicle, based on over 13,000 hours of close observation, can be viewed as a longitudinal study of nesting and nuturing. It is told from a personal point of view, yet the camera keeps it true. Visitors to this website may have insights from their own perspectives. Please email your comments or questions or reports of other cranes raising their colts. All our photo galleries and blogposts are listed on the Sitemap.